In March 2010, the Company of Strategy Communication - Publicity Creating took part in implementation of conference for Rubin's dealer - the exclusive provider of compatible consumables of TM ColorWay Ukraine. In March 2010, the Company of Strategy Communication - Publicity Creating took part in implementation of conference for Rubin's dealer - the exclusive provider of compatible consumables of TM ColorWay Ukraine. 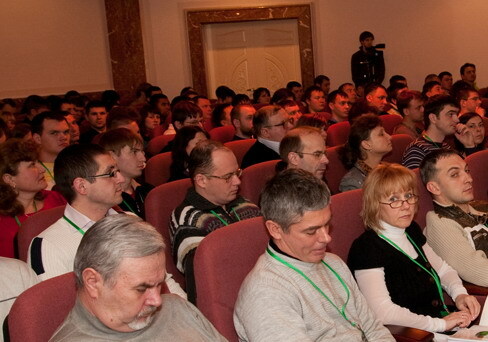 The event was held in Kiev and was attended by more than 170 partners from all regions of Ukraine. The conference consisted of two parts. At first part were announced main results of the company in 2009 and plans for development in 2010. Were also named and awarded winners of the contest for dealers by diplomas and valuable gifts. The second part of the event was held in the form of a technical seminar at which dealers were informed about new products, their main characteristics and features of the application. Publicity Creating developed the idea, themes and program of the event; provided organizational and technical assistance along with management and PR-support of the conference. "Our clients Rubin now actively develops its dealer network throughout Ukraine. Organizational, marketing and technical support of partners at this stage is extremely important. Dealer conferencesare the best methods, as well as insurance of good partnerships, " said Director General of Publicity Creating Company - Valeriy Kureiko.